Tora have announced their second album ‘Can’t Buy The Mood’ set for release on 9 August, alongside two new tracks, album title track ‘Can’t Buy The Mood’ and ‘Morphine’. They showcase the diversity in the Tora sound, one featuring a heavy production and a pacey beat versus the other which is stripped back, slower and brooding. Since their debut album release, tracks from Take A Rest have received support from respected members of the international music community. Following a coveted album packet spot on triple j and high rotation for single 'Another Case', both Sir Elton John (Beats 1) and Annie Mac (BBC Radio 1) spun tracks on their radio programs and they've now clocked nearly 100 million streams globally - a massive achievement. Tora toured nationally and around the UK/Europe with over 40 album tour shows and sold out sets in Melbourne, Paris and London. They supported Oh Wonder nationally and even found an adoring fan in Resident Evil and Fifth Element star Milla Jovovich. All of this on top of previous spots at Glastonbury, Splendour in the Grass, Reeperbahn (DE), The Great Escape (UK), Best Kept Secret (NL) and over 70 more festival appearances across the globe. 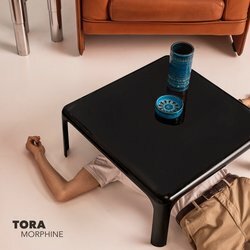 ‘Can’t Buy The Mood’ and ‘Morphine’, showcase the diversity in the Tora sound, one track featuring a heavy production and a pacey beat versus the other track which is stripped back, slower and brooding. The come from the band's forthcoming second album which will be released on 9 August.